Let’s get one thing out of the way quickly: did it rain at Green Man 2016? Yes, it was that weekend with the slightly sinister forecast. Did the on-again-off-again drizzle dampen spirits? Nah. 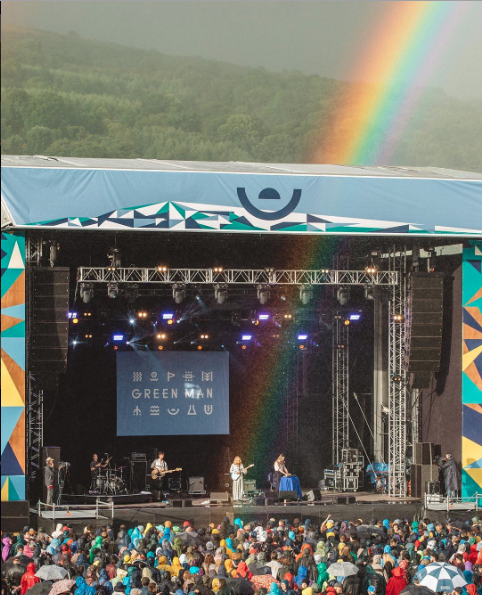 Green Man remains one of the few festivals for which the crowd comes expecting a bit of rain – but unfailingly turns up anyway. The site remains as warm, comfortable and almost comically idyllic whether the surrounding peaks of the Brecon Beacons are shrouded by a passing raincloud or, more often than not, bathed in the ensuing sunny spell and occasional rainbow. Right, with that out of the way, we can move on to the annual treat that is the line up. 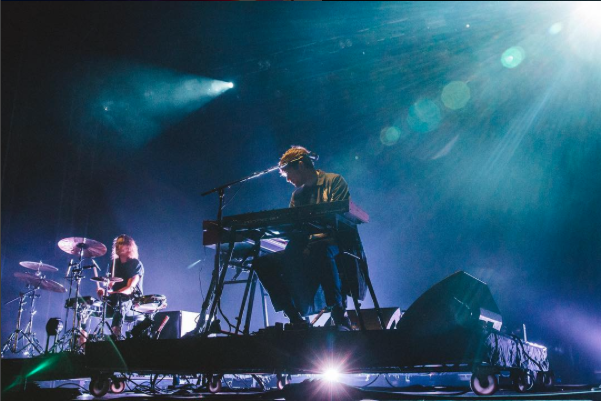 Friday night headliner James Blake delivered an astounding set, the natural amphitheatre of the Mountain Stage proving ideal for his minimal, bass-heavy crooning. Laura Marling, while technically brilliant as always, proved a bit lacklustre at times, although her set was pleasingly varied. James Blake’s spellbinding Friday-night set. One of the weekend’s best moments came on Sunday evening, during Belle & Sebastian’s runaway, career-spanning success of a set, with the crowd surging onto stage during a rendition of the indie favourite “The Boy with the Arab Strap”. Our real highlights of the weekend, however, were to be found beyond the Mountain Stage. The Walled Garden was a perfect spot to lounge, sample this year’s extended range of ciders and take in a particularly robust line up – with Bill Baird, Trevor Sensor, Throws, Fews and Sam Lee – who clambered into the crowd for an impromptu, acoustic sing-along – proving to be but a few of our favourites. The line up didn’t fail to deliver when we were ready for something to dance to either. The Far Out stage was a perfect setting for Floating Points’ mesmerizing electro on Friday night and, later that evening, the Walled Garden echoed with Charlotte Church’s unbridled soprano, her Late Night Pop Dungeon turning out to be so much more than the karaoke-esque set we were expecting. 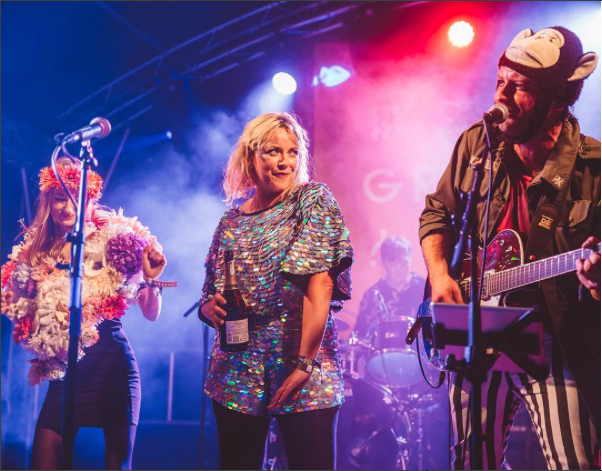 On Sunday night we were torn for how best to follow the ritualistic burning of the Green Man, ending up flitting between DJ Yoda’s banger-heavy set on the Far Out stage and Green Man veteran, Pete Paphides, in the Walled Garden. There was even an Italo-disco DJ set to entertain the waiting crowds in between other acts in the Far Out tent on Sunday afternoon – a deeply-enjoyed guilty pleasure. 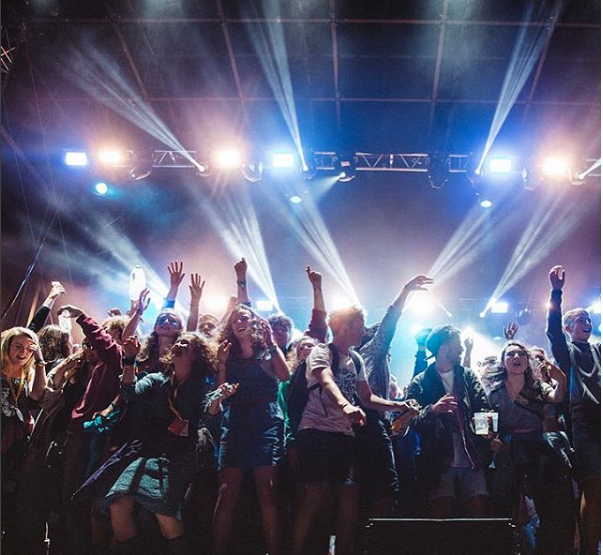 Yet there is so much more to Green Man than a stellar musical line up and to fail to mention the bevy of performing arts, installations, comedy, discussions and activities – whether physical, mental or just deeply relaxing – would be to give a rather limited glimpse of a truly sumptuous whole. Wandering around the site of an afternoon we ran into Olga, Helga and Hans, the troupe of über-skiers from Kitsch n Sync theatre collective, in search of their après-ski festivities and then had a chat about epidemiology with a student from Bristol, in the centre of a riotously colourful structure covered in ribbons representing the various elements of human DNA. In Babbling Tongues, Ivo Graham’s self-effacing brand of social commentary proved a hilarious momentary break from Sunday night’s music and we stayed to watch David Kay’s set too, taken in by his thick Glaswegian accent and calamitous tales of making scones. 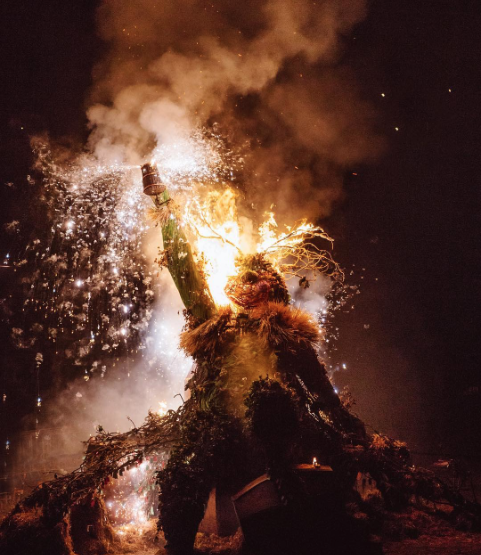 The burning of the Green Man is always a highlight of the festival season. But while the team behind Green Man seem to put together an ever-more tastefully curated and impressively eclectic programme each year, it is the less easily-quantified feeling of laid-back goodwill that seems to envelop you as soon as you arrive on site, that makes it one of the festivals that I’m keen to return to each year.